Gila Rayberg arrived at the visual arts after a successful career as a freelance musician and educator. 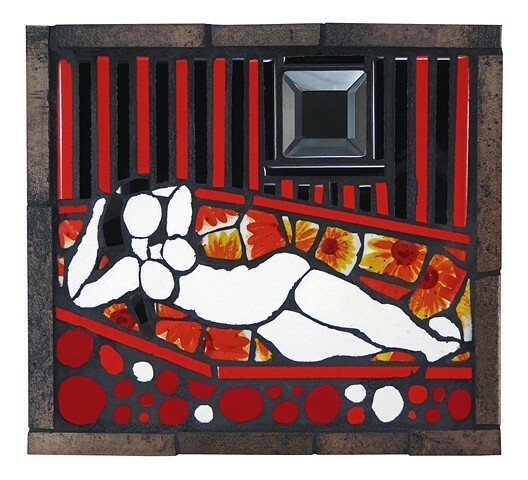 Allowing her strong sense of intuition and love of experimentation to guide her, Gila has developed a unique voice in the realm of mosaic portraiture and picassiette style mosaics. Gila's work has been exhibited around the US, winning numerous awards for her expressive and whimsical portraits. Her work resides in private collections internationally & has been published in a number of art books.